Makita 6510LVR Variable Speed Drill 3/8"
The Makita 6510LVR Variable Speed Drill 3/8" is a multi-purpose drill that is ideal for wood and metal drilling works. It has keyless chuck for fast bit replacement and double reduction gearing for efficient power transmission. 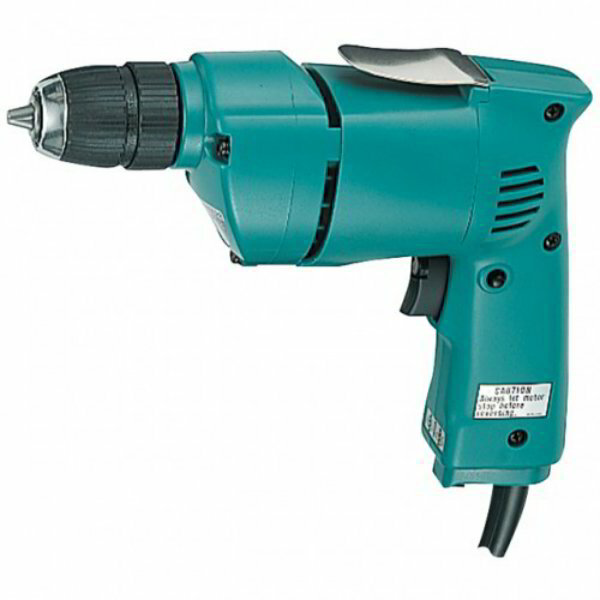 The Makita 6510LVR Variable Speed Drill 3/8" is designed with a heavy duty high torque motor for production work, high power-to-weight ratio (3.3 lbs. ), convenient belt clip, separate reversing switch, and variable speed of 0-1,200 rpm. Its all ball bearing construction ensure long tool life. It has a lock-on-button that is conveniently located for continuous use and a well balanced design for better control and ease of operation.